The Fourth of July has arrived, and that means fireworks, barbecues, picnics, and plenty of drinks to toast our nation’s 234th birthday. Everyone has their own favorites and traditions when they’re celebrating Independence Day, but following are a few cocktail suggestions that are sure to liven up any gathering. And where better to begin than with America’s Native Spirit? 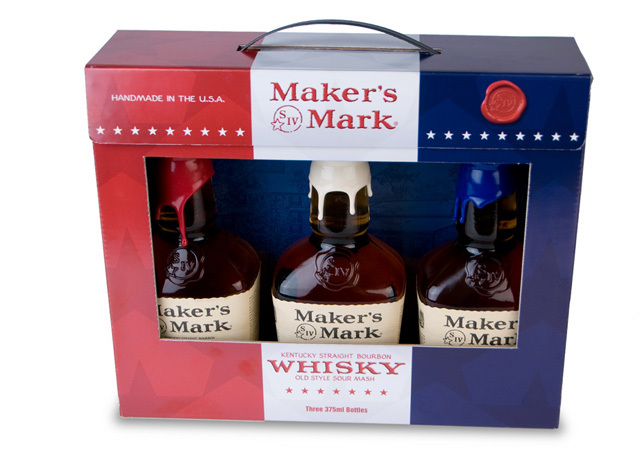 Maker’s Mark is celebrating the holiday with its special Tri-Pack, a trio of 375ml bottles sealed in red, white and blue wax. These packs will be sold for a limited time in select U.S. states with a suggested retail price of $29.99. And to put those patriotic bottles to good use, Maker’s Mark recommends a refreshing Kentucky Lemonade. Directions: Pour Maker’s Mark, triple sec, lemonade and soda into a shaker. Shake and pour over crushed ice. 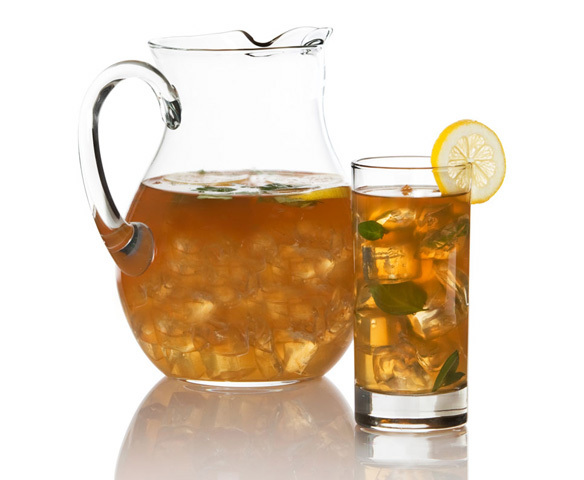 Not to be outdone is Wild Turkey and its LiberTea recipe, a sweet twist on an old standby that’s perfect for a group. You can make it in advance, the better for you to keep an eye on those burgers and dogs on the grill. Remove from heat; add 4 teabags of black tea. Steep 8 minutes; discard teabags. Stir in Wild Turkey Bourbon and American Honey. Serve over ice. And finally, a few cocktails that salute Old Glory’s Red, White, and Blue. In a cocktail shaker, muddle the strawberries with the basil leaves and simple syrup. Add ice and the remaining ingredients and shake well. Strain into a chilled martini glass and garnish with the strawberry. Muddle cherries and grapefruit in the bottom of an old-fashioned glass. Add remaining ingredients and ice and stir until well chilled. In a cocktail shaker, combine blueberry puree, tequila, orange liqueur, lime juice, sugar and ice. Shake thoroughly. Run a cut lime along the serving glass rim; place glass rim in salt. Pour shaker contents into glass. Garnish with fresh blueberries. Serve immediately. Cheers and have a Happy Birthday, America! The moonshine/July 4th scene from The Great Escape, one of my all-time faves.